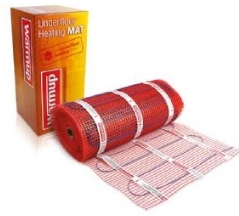 Comfortable under tile heating for any rooms. Great for bathroom and shower room floors. If you are planning an update or a refurbishment project, one room that deserves special attention is the bathroom. This space was originally designed to be purely functional but it is now an important place to relax and unwind. 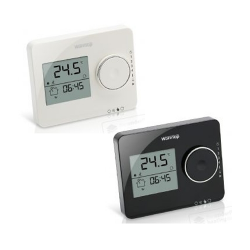 Installing underfloor heating will add luxury when you want to pamper yourself and take the chill off tiles on a cold morning. At its best, this space is a personal sanctuary that sets the tone for both the beginning and end of your day. 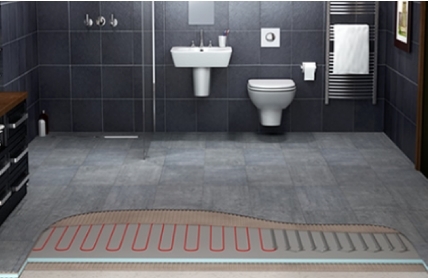 Having a floor heating system is also widely considered a key selling point, adding value to your home. Choose your cable system to cover around 95% of your open floor area. 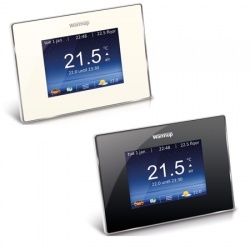 You can also choose your thermostat from the thermostat choice menu. 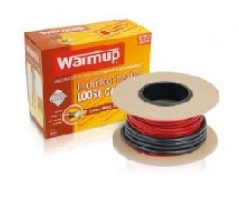 Warm loose wire systems are 2mm in diameter, ultra-thin, dual-core heating element. 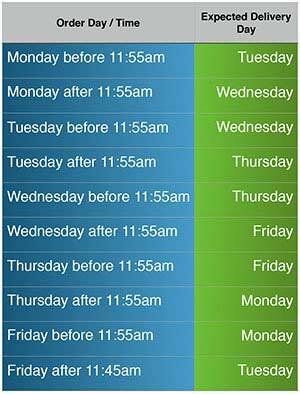 The small cross-section of our element allows it to be installed in a matter of hours without raising floor levels. There is no need to dig up the floor and no need to mix concrete. Simply fix the heating element to the subfloor, tile straight over and say goodbye to cold feet for good!